Deposit the bibliographic references of all their scientific production published since 1 January 2009 in the University's digital repository. This obligation applies only to those publications made while employed at the University of Luxembourg. Therefore, if an author started on 1 Jan 2011, he/she is required to deposit everything published from 1 Jan 2011 onwards. It is the primary author's sole responsibility to deposit their works as well as to assign to them the appropriate level of accessibility (open access, open access with embargo, restricted access) in the University's digital repository. For restricted access deposits, the digital repository will permit the author to fulfil individual e-print requests. The primary author is also solely responsible for the quality of the data provided in the bibliographic reference. Permit full open access to full-text copies via the digital repository as soon as publisher conditions allow. This deposit does not restrict in any way the choice of publisher or the means of publication. Accompanying any curriculum vitae for all 'in-house' evaluation procedures (designations, promotions, grant applications, etc.). As mentioned in the paragraph above, one of the requirements for the promotions procedure is to have all publications which are to be taken into consideration in ORBilu. Based upon the references entered by University authors, the Executive Team is able to create an entire bibliography of the publications of its researchers and ease access to the full-text of recent publications. It will no longer be necessary to spend time at the end of each year to produce, and format, such lists. They can be generated simply and easily from ORBilu. Provide a bibliography; it builds lists based on the publications deposited. Consolidate existing data that is already publicly available with publications (ex: Web of Science citations, Scopus citations …). No new data is created. ORBilu does not define evaluation criteria nor compare disciplines. It does however provide statistics which show the visibility our authors are achieving. Increasing the availability of full-text peer-reviewed research articles broadens dissemination, increases use and enhances professional visibility of scholarly research which in turn can lead to increased citations and usage. By building a full bibliographic reference of the University’s entire scientific production, the University’s reputation and impact, as well as that of its authors, will be strengthened. Not all potential readers of scientific works can subscribe to the publication it appears in. Increasing journal subscription prices and budget limitations will see alternative access routes to research papers (such as Open Access copies) more widely utilised. Some publishers allow authors to make their papers publicly available only if it is mandated by the institution or funder. Do I have to deposit my full-text in Open Access? In a word, no, the Uni.lu mandate does not require you to make your work openly accessible. It does however encourage you to do so and Open Access can provide many benefits to you. ORBilu is a record of all research activity at Uni.lu. 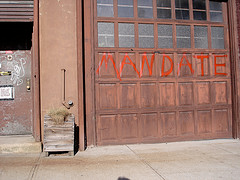 Practically speaking, the mandate requires deposit of full-text copies of peer-reviewed journal articles and papers from conference proceedings published since 1 January 2009. Authors are also required to submit the bibliographic references of all their scientific production published since 1 January 2009. They are also encouraged to submit full-text copies of all scholarly creations, regardless of the year of publication, including, but not limited to, book sections, reports, working papers, conference presentations, etc. See the opinions of researchers at the University of Liège in this short, informative video: ORBi@University of Liège. Still have questions? Send us an e-mail. We will reply as soon as we can.